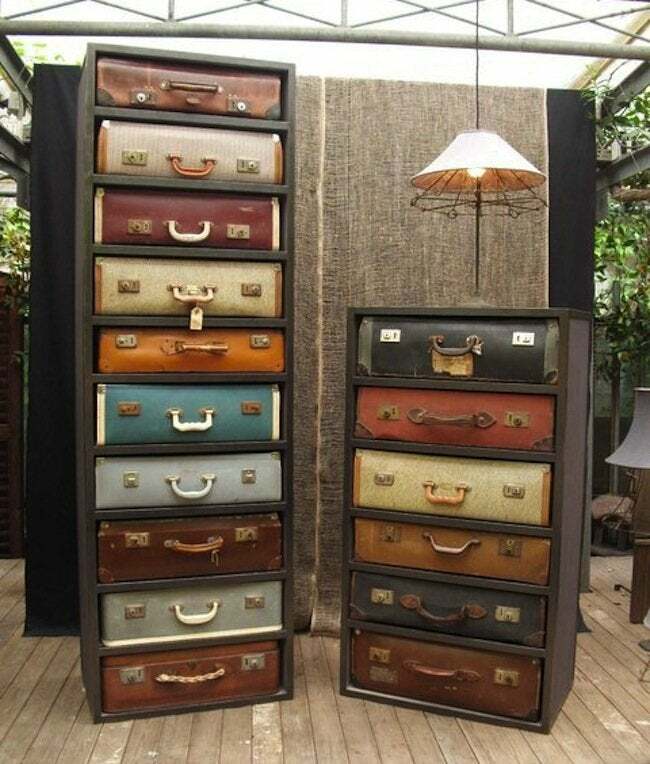 Love the look of vintage luggage? If there are old suitcases taking up space in your closets, you can repurpose them into useful everyday pieces for the home. I’m always swooning over the charming old luggage I see at flea markets and thrift stores around New York City. Clearly, some of these pieces have traveled far and wide; their once vibrant colors have faded and their leather has worn to a supple softness. As much as I love traveling, it would be hard to justify shelling out to buy all of those suitcases catching my eye. (Even more difficult would be figuring out where to store them all!) 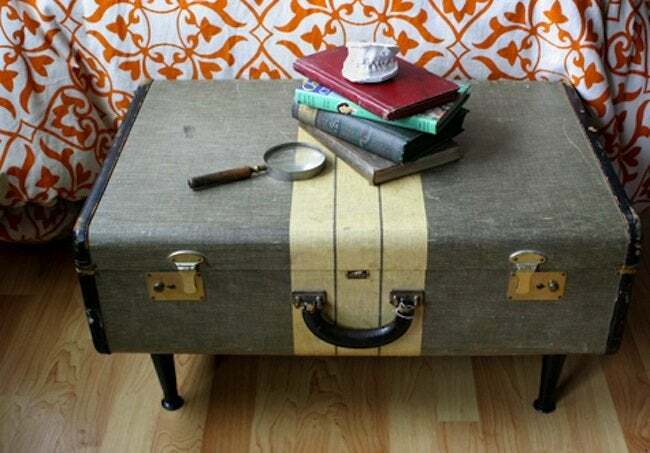 Fortunately, there is no shortage of DIY ways to tweak vintage luggage pieces, so they become useful in everyday life at home. Every pet owner knows that pets simply love climbing in luggage—why? Is it a sense of adventure, or an instinct to get cozy? 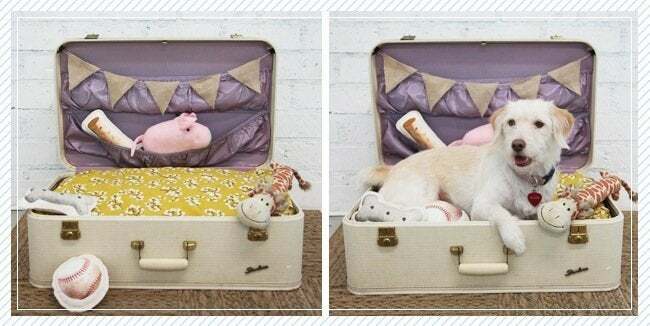 We’ll probably never know, but what we can do is give pets a suitcase to lie in, not just on those occasions when we’re packing for a trip, but year-round. Follow the tutorial at The Ruche. A Beach Cottage found a use for old luggage that is sure to be a hit with the green-thumbed among us. 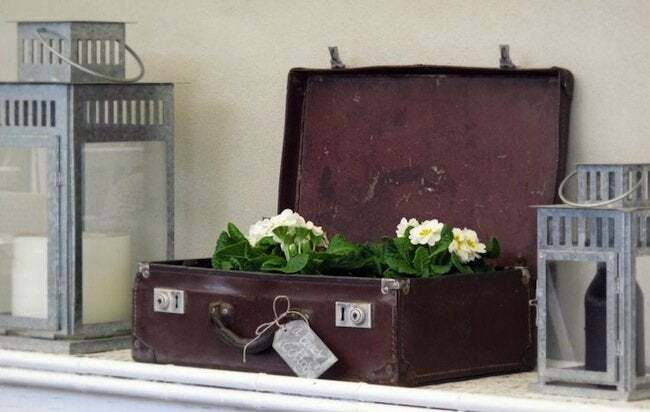 Believe it or not, a vintage suitcase makes for a delightfully whimsical—and totally viable—container for small plants! If you’ve got a few pieces of old luggage stashed somewhere in the garage, now’s the time to let them back into your home. 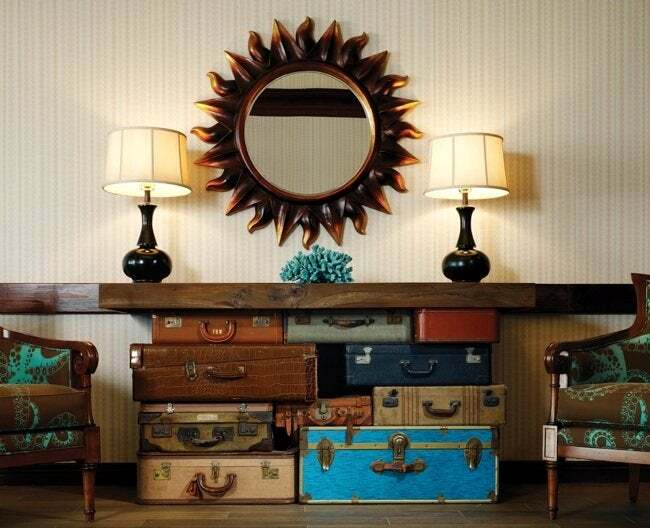 Having seen something similar at an Oakland, CA, hotel, Home Made Simple set vintage luggage under a wood slab to make a one-of-a-kind table. Not a lot of leg room here, but as a console in the hallway or living room, this easily assembled piece would undoubtedly be a conversation-starter with guests. Flat-sided suitcases make excellent night stands or coffee tables. On the one hand, they’re sturdy. On the other, they provide ample storage. If you want to create a small table with a large personality, one that is suitable for just about any room, check out Ashley’s project for Design Sponge. If you’re ambitious, test your skills with a project like this one from Man Made DIY. Using basic woodworking tools, stock lumber, and a small airport’s worth of beat-up luggage, Chris managed to build his own (affordable) version of an (expensive) designer piece. No matter the number of suitcases you have, the same ingenious approach can be applied to create dressers of all different sizes.